Spring mix tossed in a honey mustard vinaigrette topped with pita crisps spread with hummus, red pepper relish, feta cheese & a pomegranate drizzle. Crispy corn tortilla points, black beans, potatoes, shredded cheddar cheese, two eggs cooked any style topped with pork green chili & avocado/jalapeño salsa. Gluten free veggie chili available upon request. Toasted English muffin, poached egg, goat cheese, roasted red pepper strips, arugula tossed in honey mustard vinaigrette topped with home-made hollandaise, tomato, red onion, avocado & asparagus. Creamy cheese grits cooked with bacon, poblano peppers, diced tomato & shrimp. Served wtih two eggs cooked any style. Toasted English muffin topped with poached egg, sliced tomato, smoked salmon, red onion, capers & chives. Finished off with home-made hollandaise sauce & served with a side of potatoes. 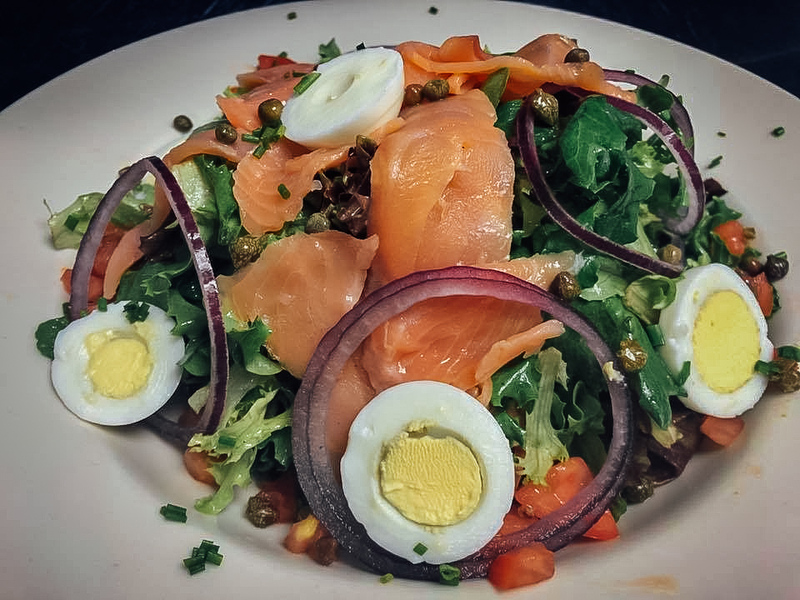 Lox (smoked salmon), diced tomato, red onion, capers, hard-boiled egg, chives & mixed greens tossed in an Old Bay vinaigrette. 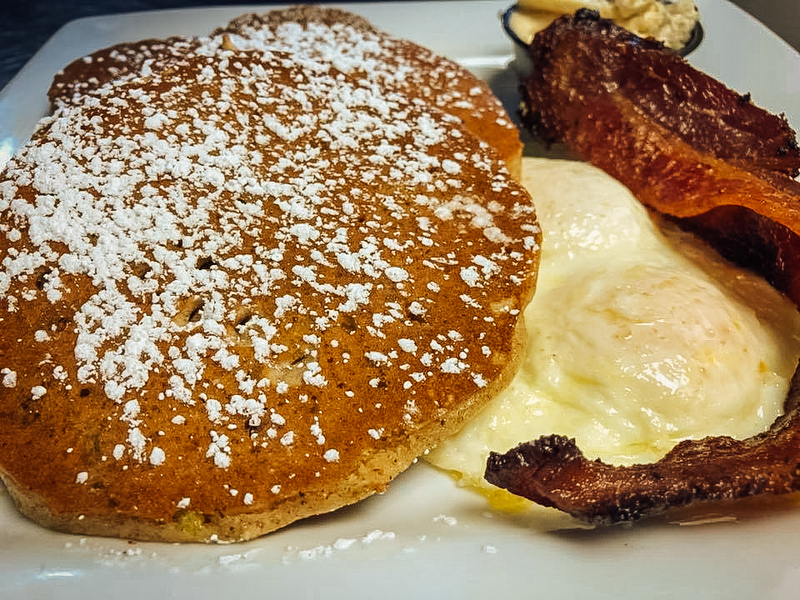 Four silver dollar pancakes of your choice served with two eggs cooked any style & your choice of sausage, bacon or ham.